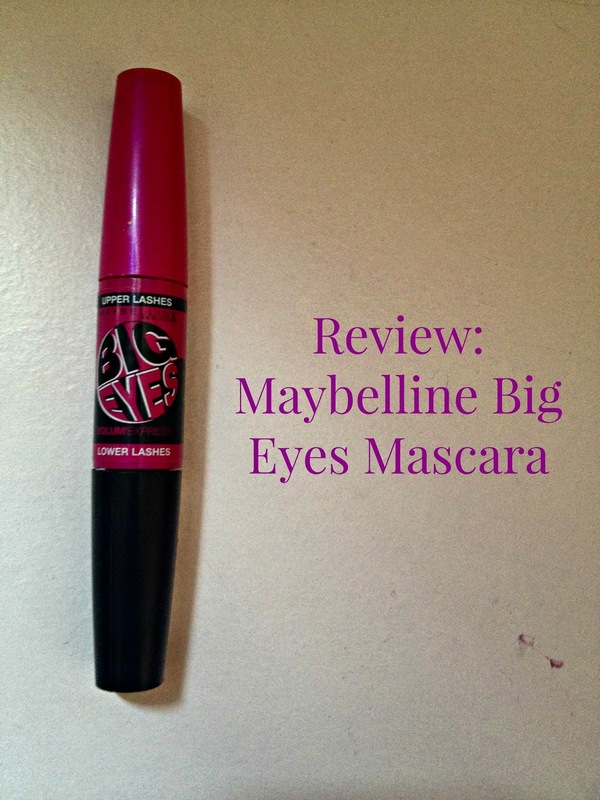 Today, I’m going to be reviewing the Maybelline Big Eyes Volume Express mascara! I have had this mascara for roughly a month now, so I feel I can review it well for you guys. This mascara is double sided, the pink side is for your upper lashes and is called a ‘push up brush’, and the black side is for your lower lashes, which helps to magnify tiny lashes. You can see that the lower lash brush is much smaller than the upper lash brush. Also apologies for the photo quality. These are made from bristles, rather than plastic, and I find the formula of this mascara to be very wet, compared to others. I find this mascara is very defining, and gives a fair amount of volume. I have always been a fan of Maybellines’ mascaras, and The Rocket is my favourite. Here you can see the before and after. It really separates the lashes, and gives them a lot of length. I should add that I used an eyelash curler. This mascara doesn’t smudge on me, which is quite surprising, as mascaras have a tendency to do that to me! It lasts a long time, and isn’t difficult to remove when you want to! 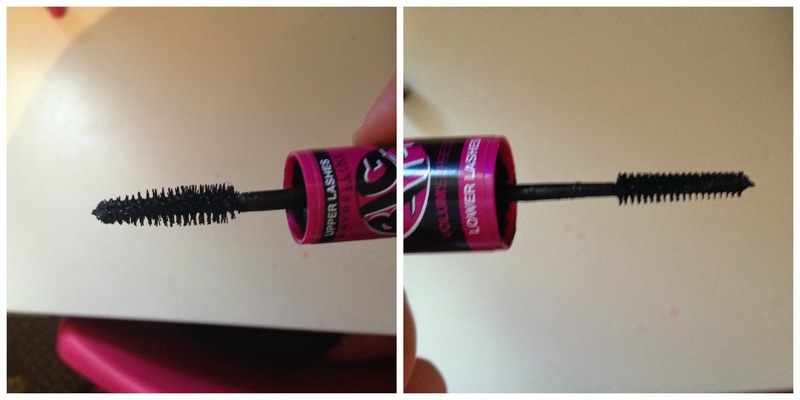 I would give this a go, if you like wearing mascara on your bottom lashes, and you want a lot of length and separation. It does give my lashes volume, but if you are looking for a volumizing mascara, I would go for Maybelline The Rocket, or The Falsies.